Patty Woerter has been the Music Coordinator of Blessed Mother Church since August 2013 and has a Music of Education degree from the University of Evansville. For over 30 years she has taught private piano and voice lessons. She also taught at St. John Catholic School in Newburgh, IN for 7 years. Patty was a member of St. Mary Catholic Church in Evansville, IN for over 20 years before joining the staff at Blessed Mother. Throughout her life, she has shared her joy of music and musical talents with her parish. Since 1982, Patty has served in a variety of capacities at a number of Evansville parishes as Psalmist/Cantor, choir director, music/liturgist for adult and children’s masses etc. while serving on various liturgical committees as well as serving as assistant Director of Religious Education. 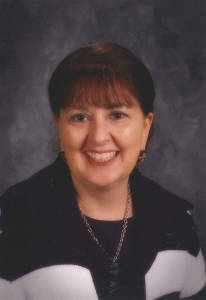 An Owensboro, KY native, Patty, currently resides in Evansville with her husband, Fred. They have been married for 38 years and have been blessed with two daughters, two son-in-laws and three grandchildren.